TOMEK and other ...THINGS!!! : TASMAR vs TOMEK Graffiti Battle!!! Bodies will fall (from ladders) and the floor will be filled with red ...plastic paint! 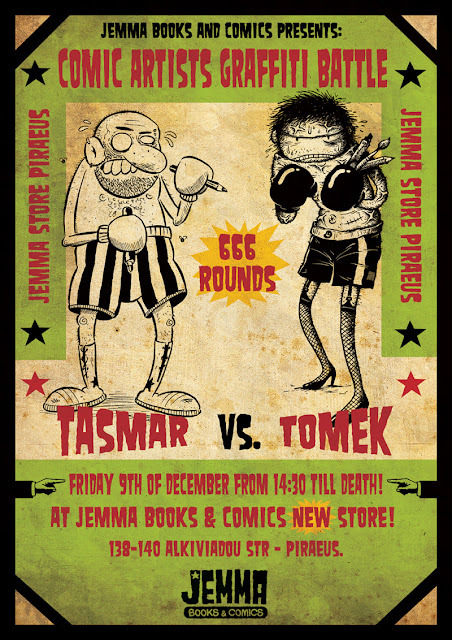 We'll destroy the JEMMA's wall with TASMAR! Don't worry Ted, we'll upload photos from the event.